Dr. Fabriel D. Burquez always appreciates feedback from his valued patients. To date, we’re thrilled to have collected 40 reviews with an average rating of 4.98 out of 5 stars. Please read what others are saying about Dr. Fabriel Burquez below, and as always, we would love to collect your feedback. Thank you doctor Fabriel and staff, very friendly and most of all very very professional. Desde que llega uno las personas de recepción siempre muy amables y conocen perfecto nombre de paciente etc. Los ayudantes del Dr.exelentes y el Dr. ni que decir. FELICIDADES es un super equipo!!!! Dr. Burquez is a trustworthy dentist which can be hard to come by. He is thorough and you can have faith that he will only recommend treatment that is necessary. To top it off, he is very friendly and gentle. Lastly, his staff also provide excellent customer service. Great Dentist, no pain whatsoever! Exelente trato exelente su recomendación !!! 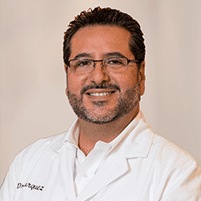 We love Dr. Burquez ... we feel comfortable and trust my family is in good hands! Staff are very friendly and the work provided by Dr. Burquez is excellent. Very efficient operation and all work done prior and during is explained to the point there are never any surprises. We accept most PPO insurance plans and indemnity plans. Please call for details. We also accept most major credit cards including: American Express, Discover, Visa, MasterCard, and CareCredit.